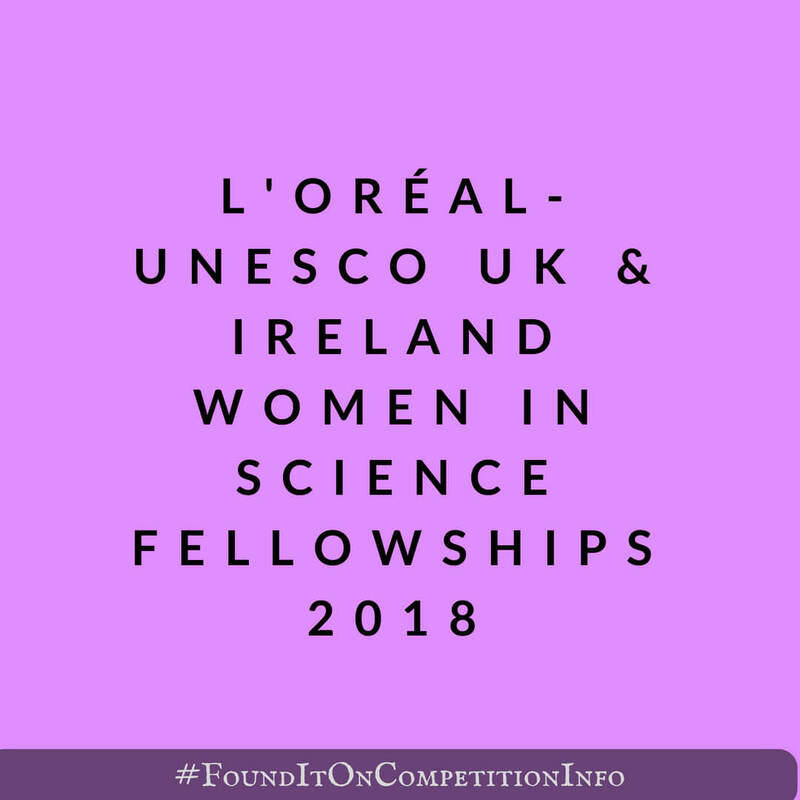 The 2018 L'Oréal-UNESCO UK and Ireland Fellowships For Women in Science are awards offered by a partnership between L'Oréal UK & Ireland, the UK National Commission for UNESCO and the Irish National Commission for UNESCO, with the support of the Royal Society. The aims of the Fellowships are to promote, enhance and encourage the contribution of women pursuing their research careers in the UK or Ireland in the fields of the life and physical sciences. Five Fellowships will be awarded in 2018 to outstanding women scientists in the early stages of their career to facilitate promising scientific research. The Fellowships are tenable at any UK or Irish university or research institute to support a 12-month period of early career research in any area of life, physical and computer sciences, engineering and mathematics.